This mini fan looks small but has a powerful motor which delivers a powerful performance. It works with both USB cable and a battery. The battery lasts for 2-3 hours depending upon the speed. You can adjust the speed of the fan as it comes with a 3-speed mode. The fan is stylish, compact and enables you to carry it wherever you want.This fan comes with an integrated LED light for your convenience. This fan is perfect for places where there are frequent power cuts. 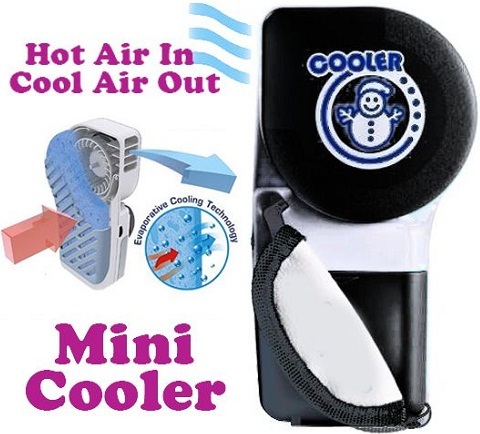 This is a personal ultra-portable air-conditioning cooler provides cool air on hot days by evaporating water vapour. This cooling fan utilises a 30db whisper-soft turbine system and is the perfect desk fan. Kelvinator tower fan never fails to deliver efficient cooling especially when you need it the most. Those ceiling fans may be truly good but they consume a lot of power. 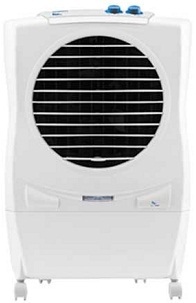 Try this Desire tower fan by Kelvinator this summer. With a slim design and a sleek shape, this tower fan easily fits into any small or cramped place. If you are at home, you can actually carry it around the house as per your usage. 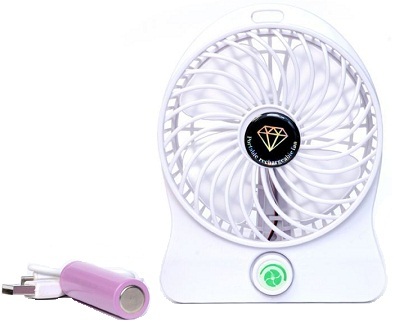 This fan keeps you cool and sweat-free all summer. 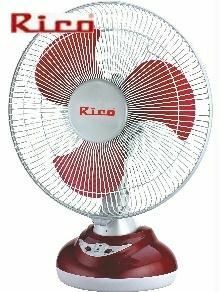 This Rico rechargeable table fan is an ideal choice for every modern household. Besides solving the purpose of a table fan, this one goes a step further by providing you with backup for your smartphone battery. It comes with an integrated LED lamp which is very useful especially when the power goes off. This fan is perfect for areas where load shedding or power cuts are common. The fan has a powerful motor which ensures that the air is evenly distributed in all directions. 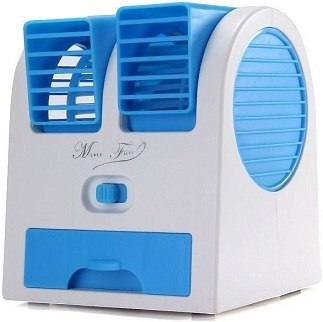 Experience cool breeze with the Symphony Air Cooler. This cooler comes with Dura-pump technology which ensures the long life of the pump. It is ideal for rooms up to 180 sq. 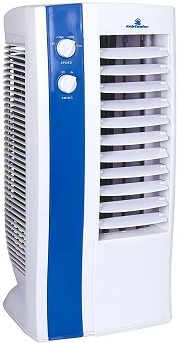 ft. With only 95 watts of consumption, the Symphony air cooler is known as one of the most energy efficient air coolers. It has a powerful 30 ft. air throw so that you enjoy some cool breeze in every corner of your room. This cooler provides fresh and filtered cool air with uniform distribution. It has multi-directional wheels which make it easy for you to move the air cooler from one place to another. It boasts a 17-litre tank capacity which is enough to provide cool air for a longer time.